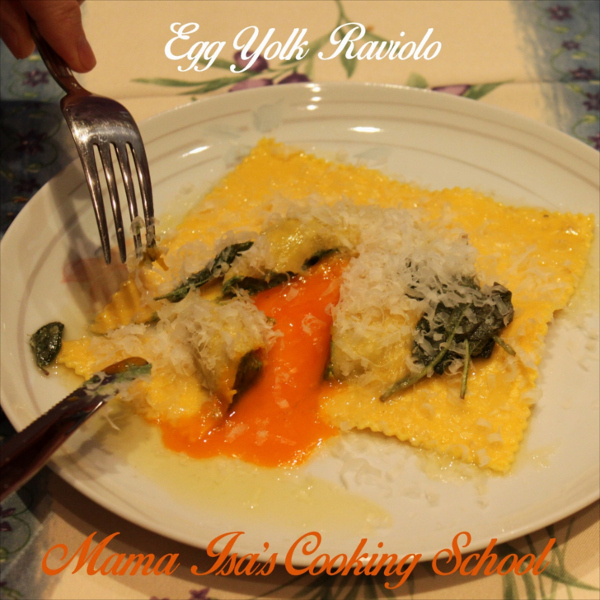 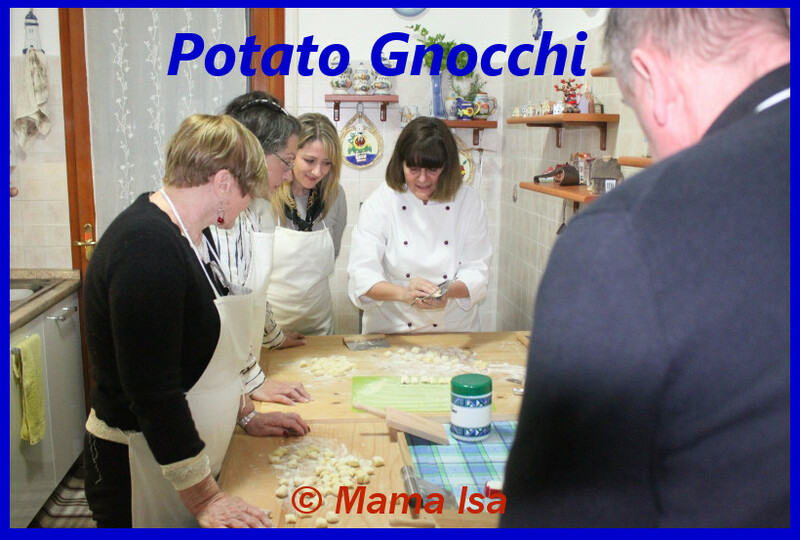 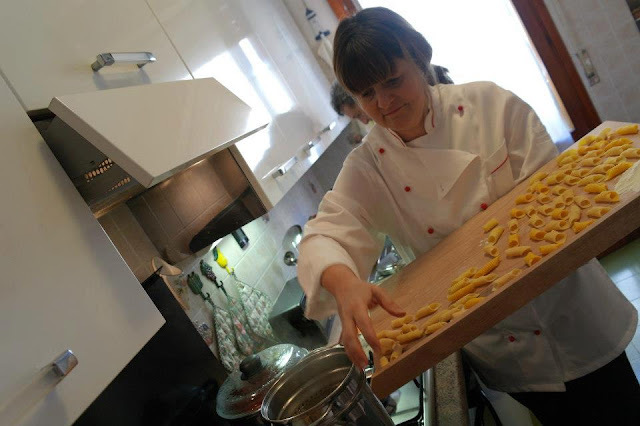 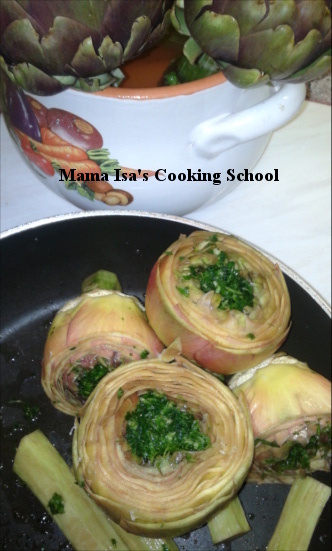 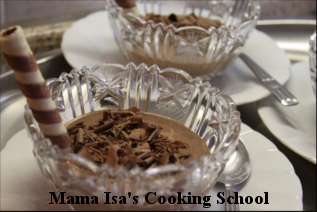 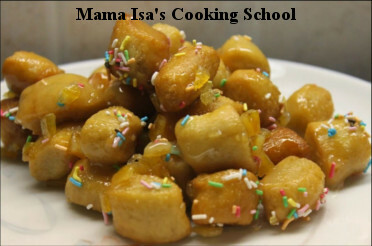 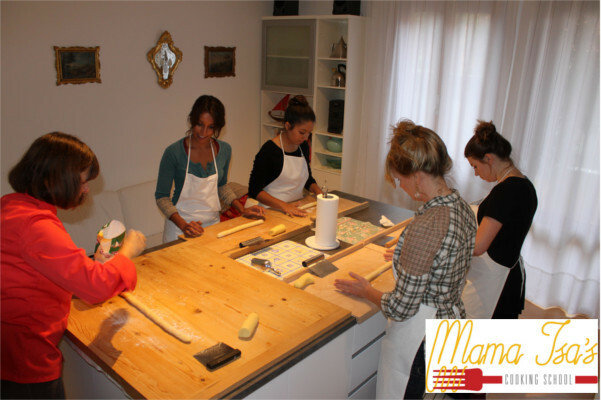 Pasta Cooking Classes at Mama Isa's Cooking School Venice Italy. 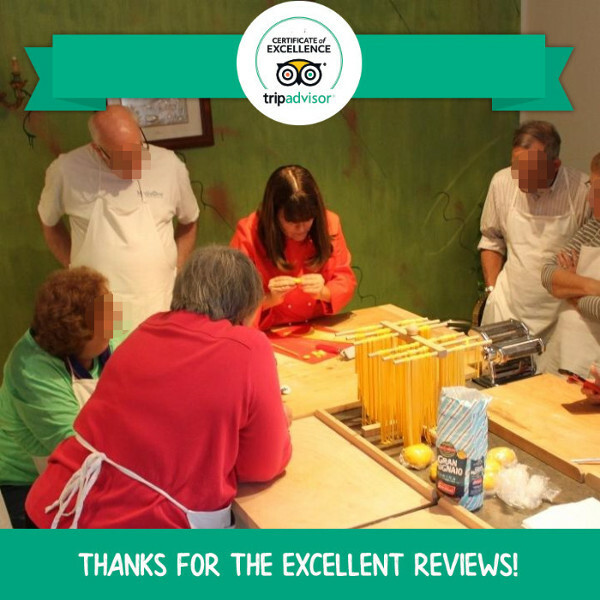 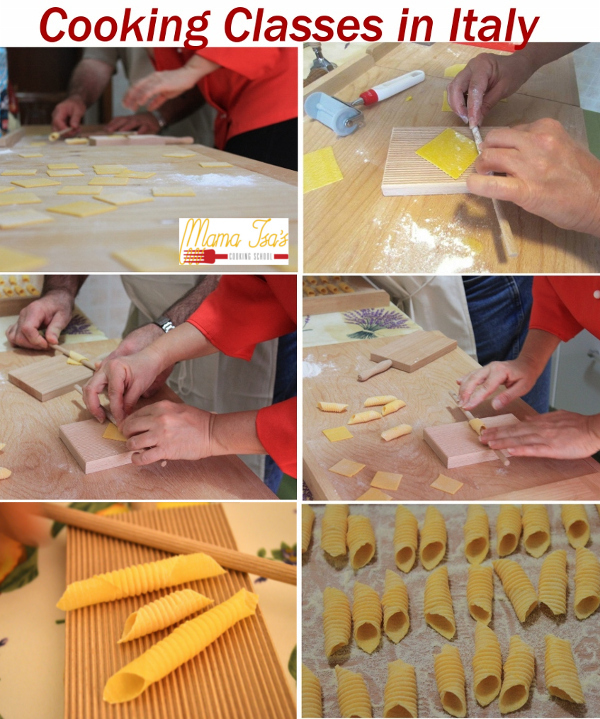 The Art of Pasta Making in Italy, Venice area. 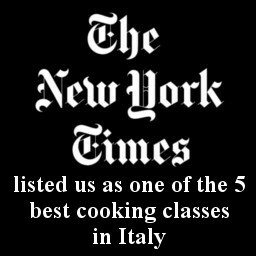 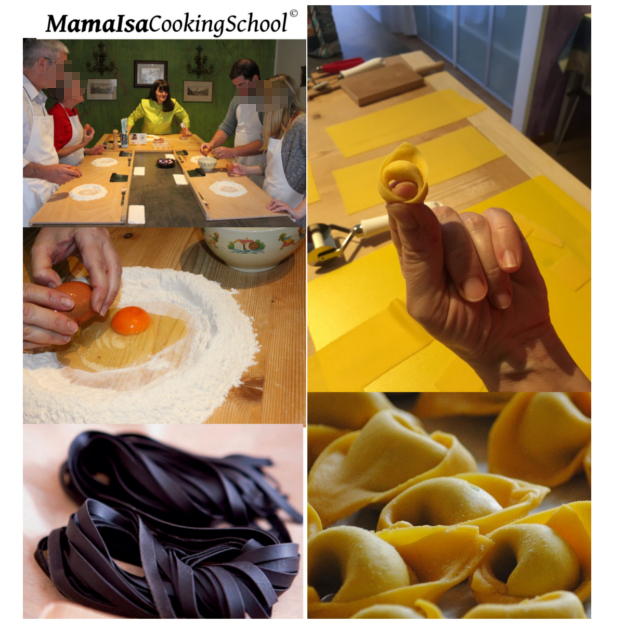 1 day or 3 day or 6 day Pasta Courses or more days upon request. 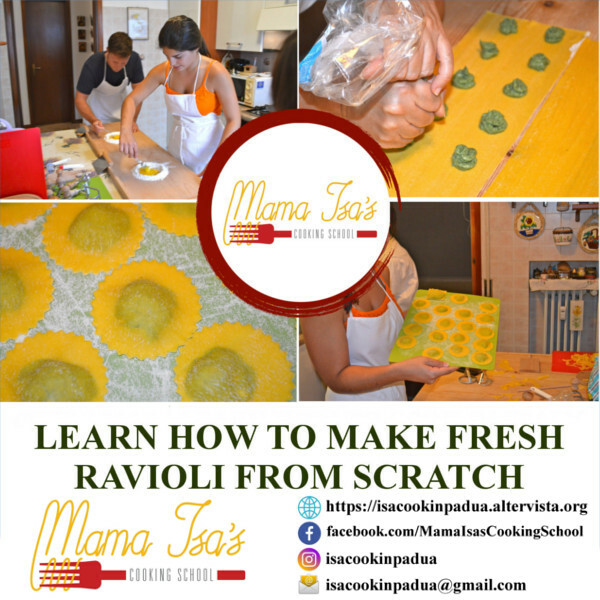 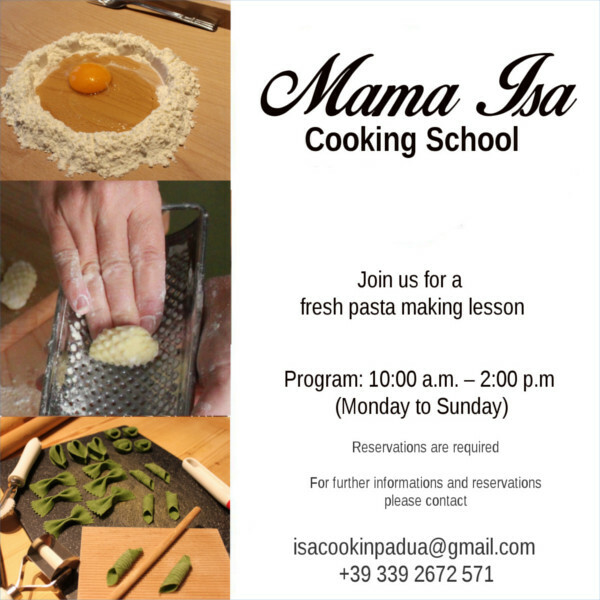 Mama Isa's Pasta Classes: come to learn how to make the real fresh Pasta. 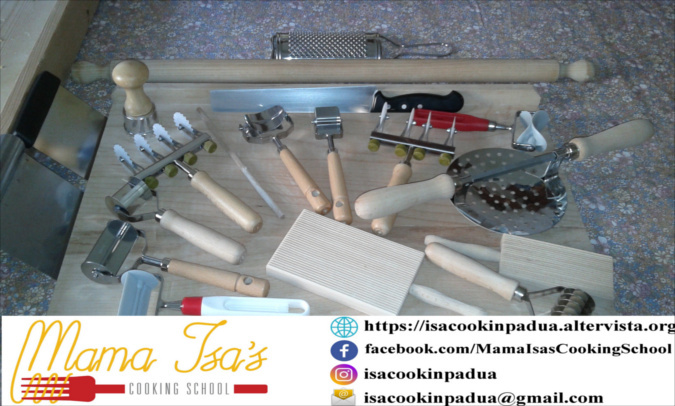 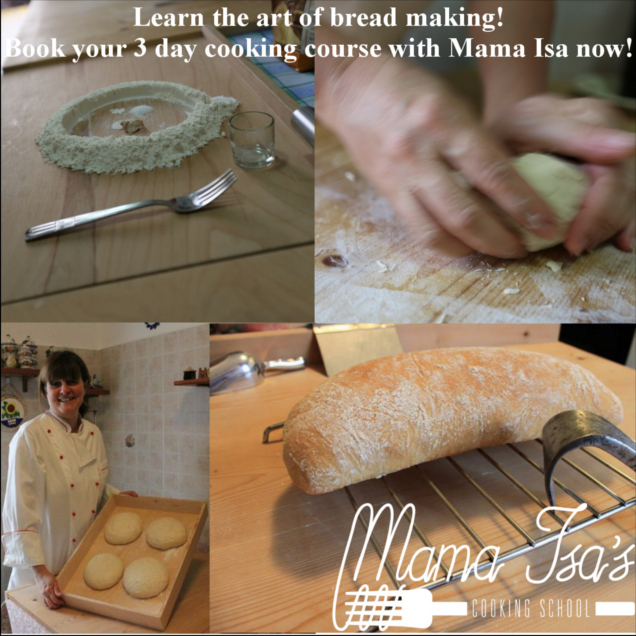 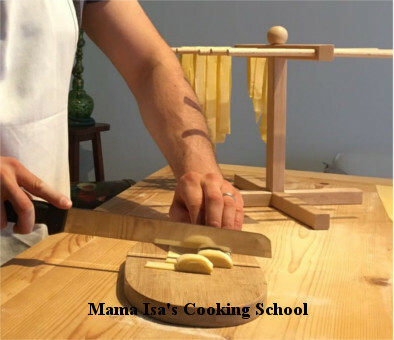 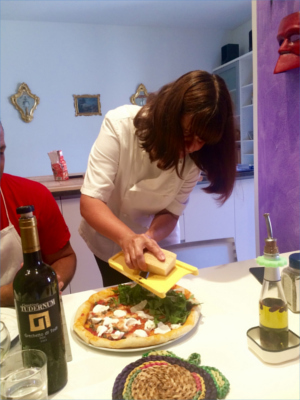 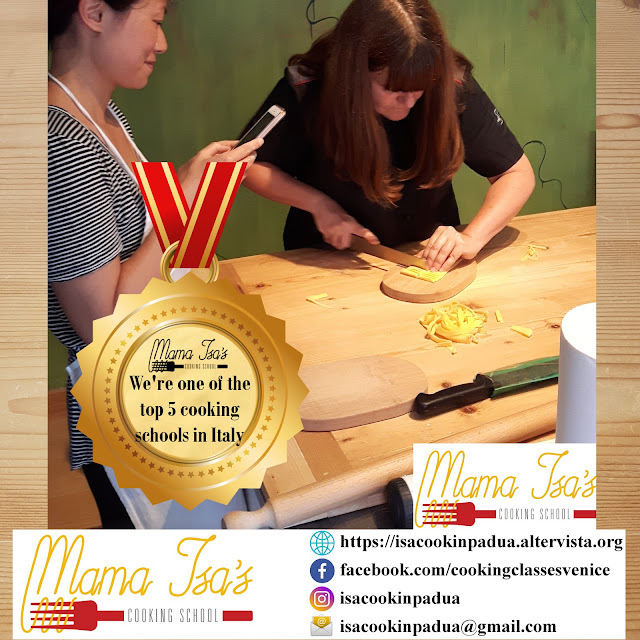 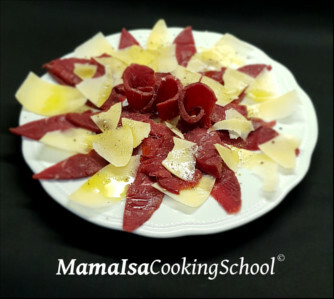 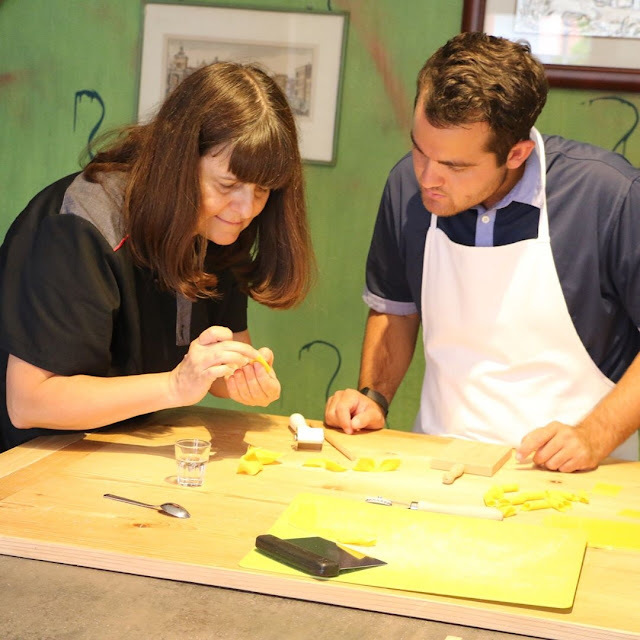 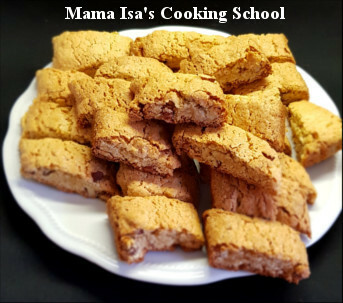 Mama Isa is a pasta class instructor, in Venice area, in Veneto region (Italy): she will teach you how to make the authentic fresh Pasta. 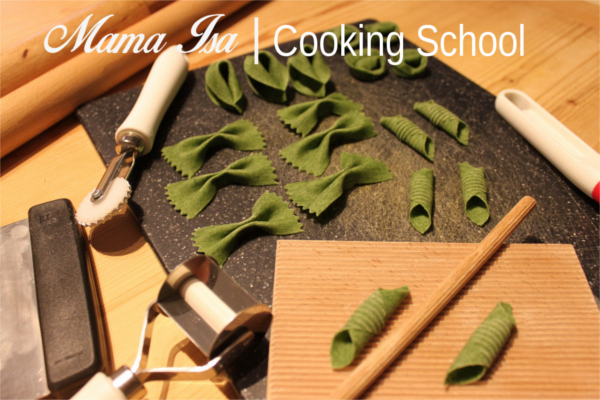 We have a special pasta diploma course (a week program). 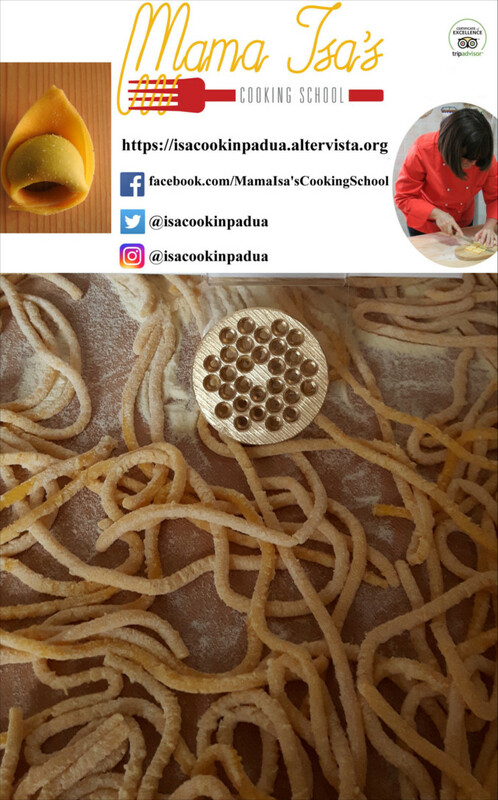 Please click our webpage "Pasta Diploma". 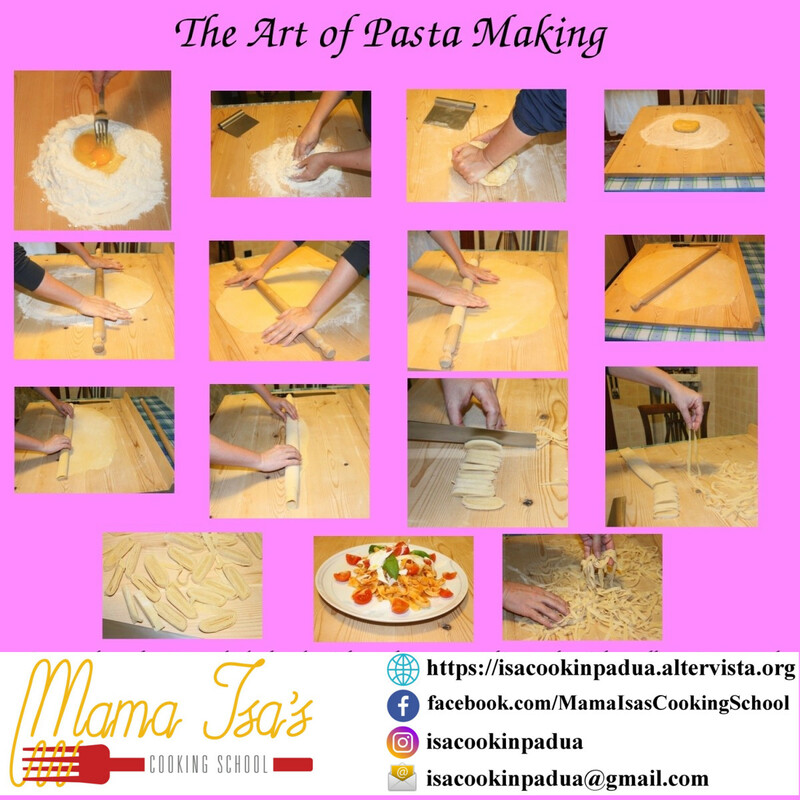 Pasta making is an art! 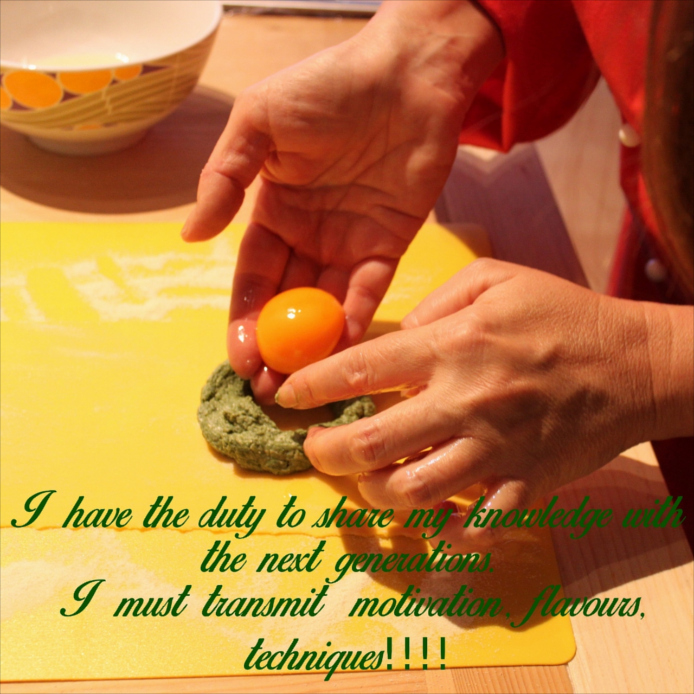 It involves technique as well as balance. 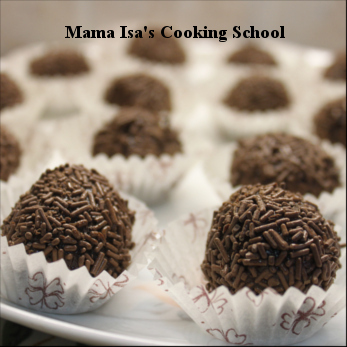 It is a dance!!!! 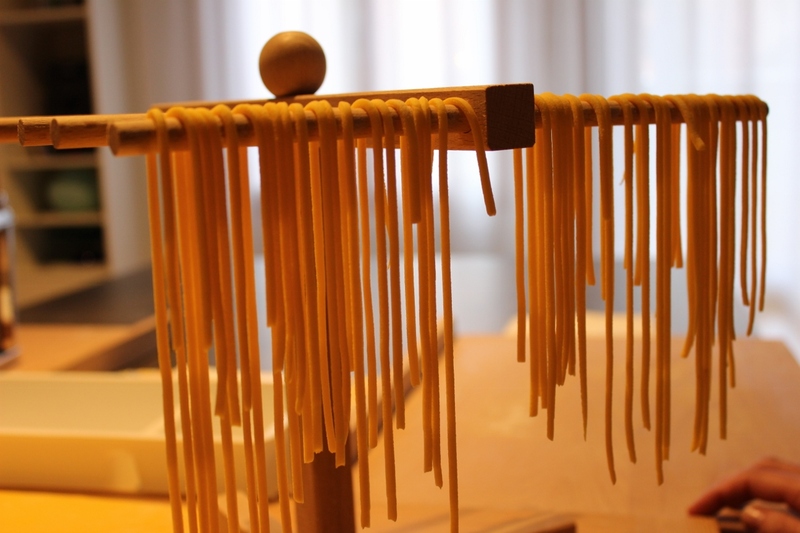 It is a symphony!!!!! 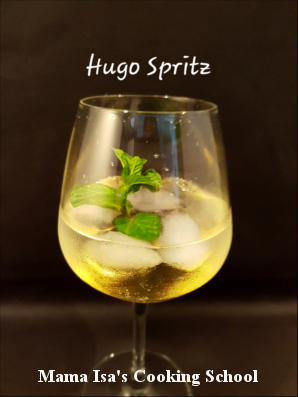 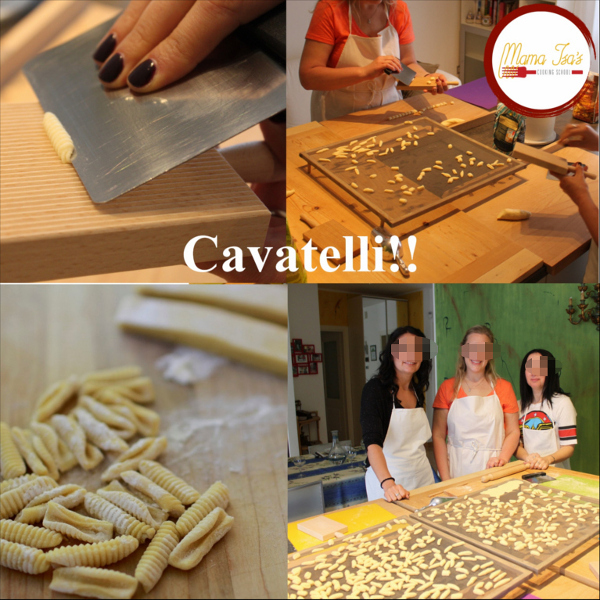 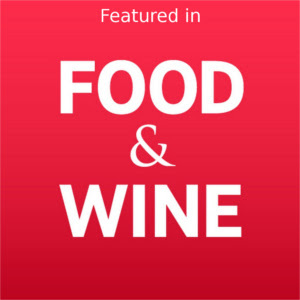 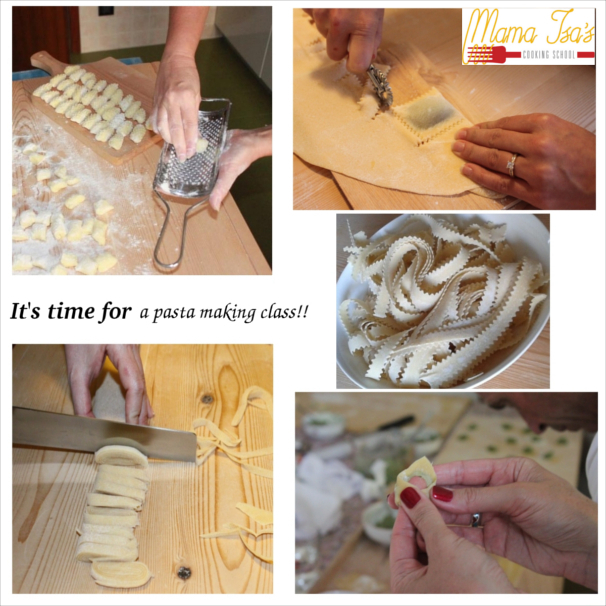 Pasta Classes for Pasta Lovers, Foodies and Foodie Travelers! 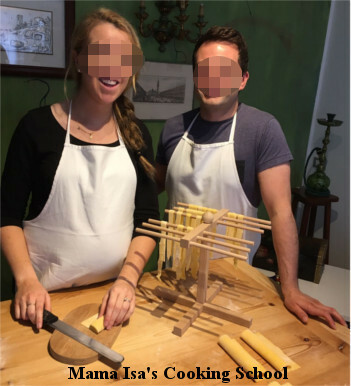 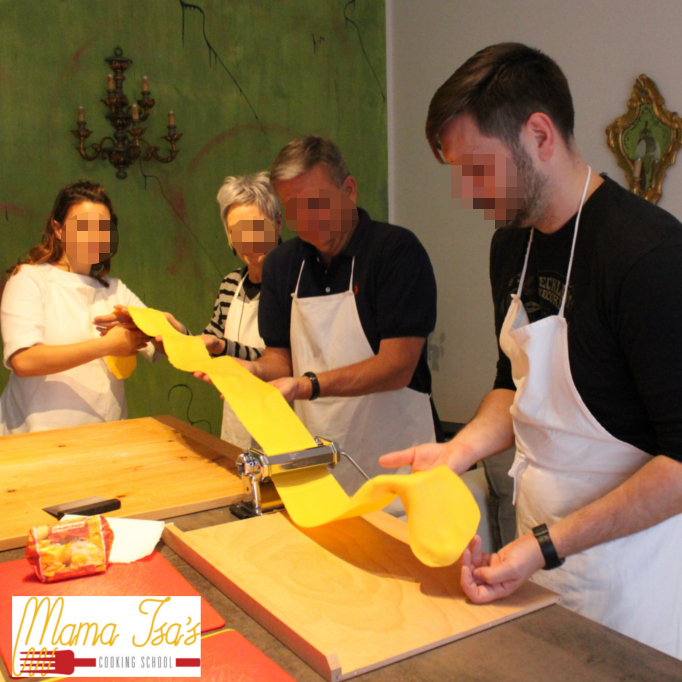 Our Pasta Making Classes are only UPON REQUEST. 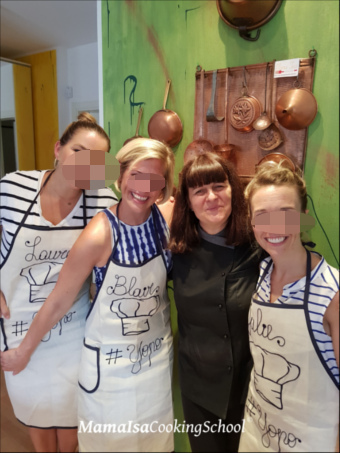 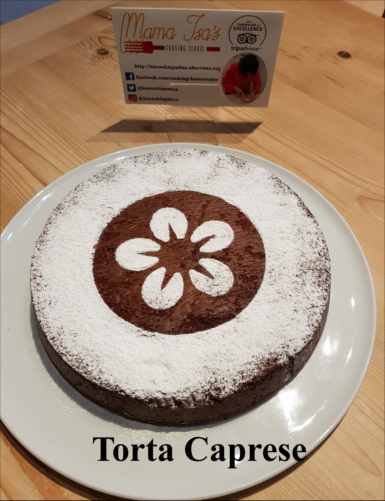 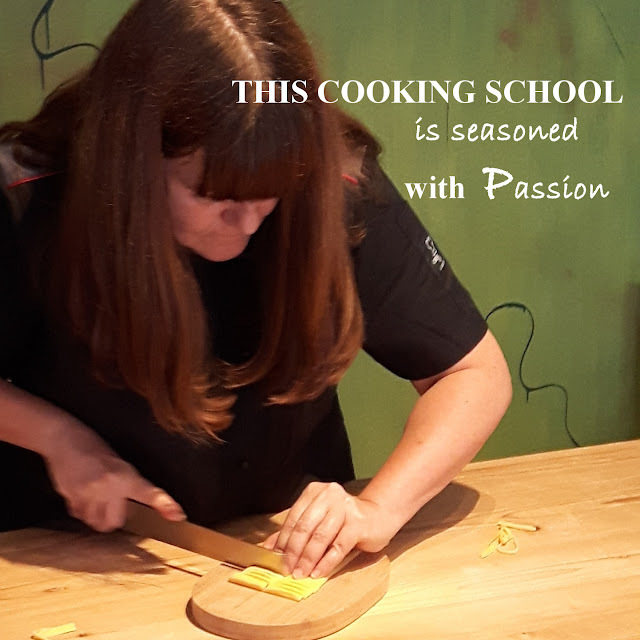 If you are interested in joining our Pasta Cooking Class (3-4 hours) or a pasta cookery course (3 day-long or 6 day-long), please check our availability by email and process your application as soon as possible. 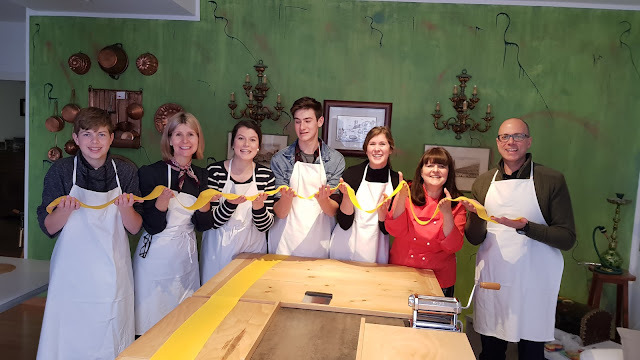 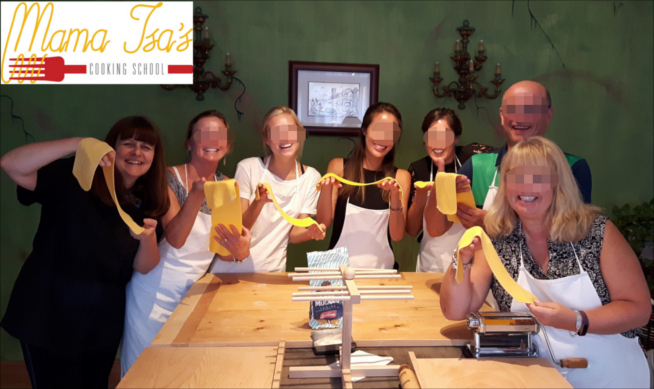 Remember that we offer pasta cooking classes or long pasta course only for small groups (but maximum 8-10 people), so asap book a pasta class. 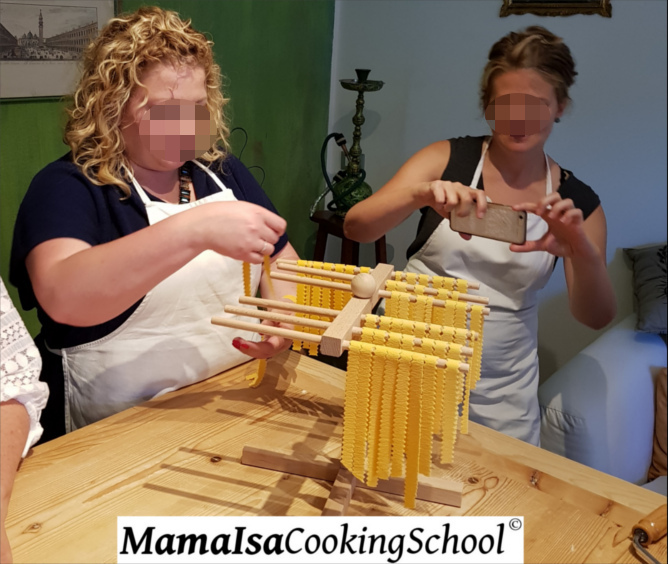 Our long pasta course (3 days or 6 days) is aimed at home cooks who want to immerse themselves in the world of fresh pasta making. 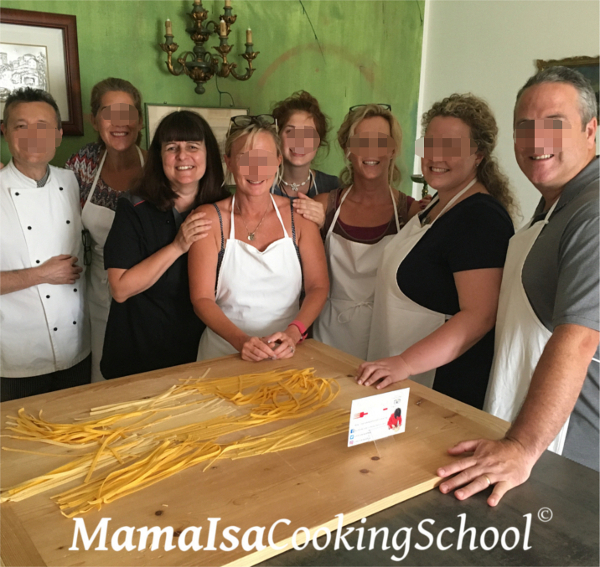 During this course you will master the fundamental skills required to create a wide range of classic Italian Pasta Dishes. 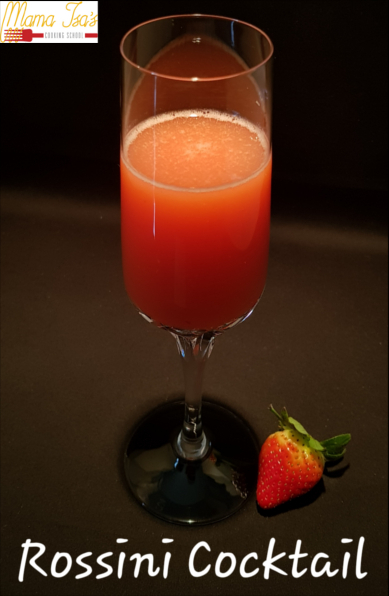 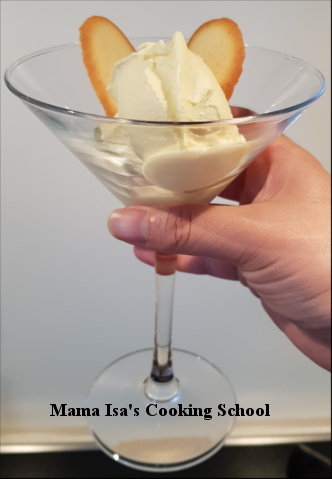 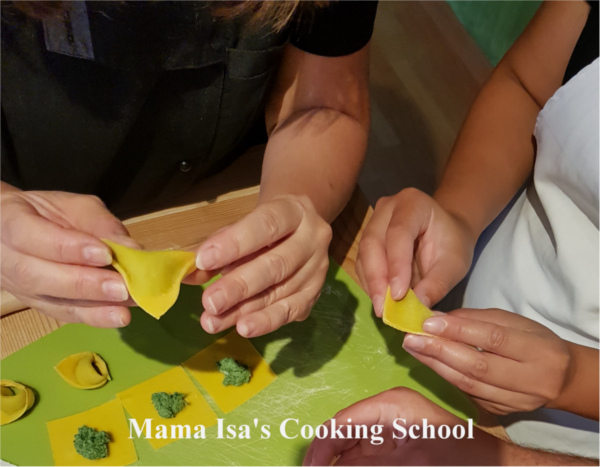 You will learn to make classic fresh pastas such as tagliatelle, fresh spaghetti, pappardelle, , and master the art of stuffed pasta dishes with classic ravioli, tortellini, agnolotti, cappellacci....as well as special fillings and working with different pasta tools. 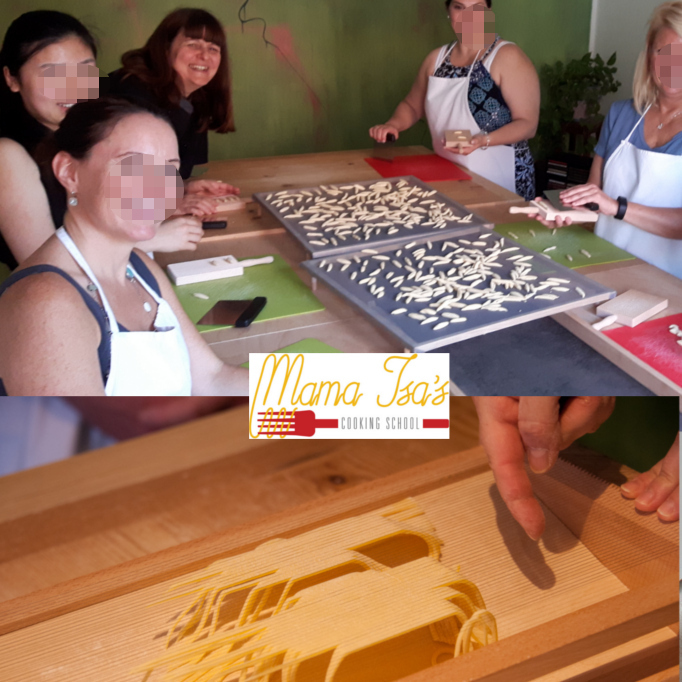 You will also learn to apply the precise and delicate decoration and presentation techniques that will elevate your pasta art to an impressive level. 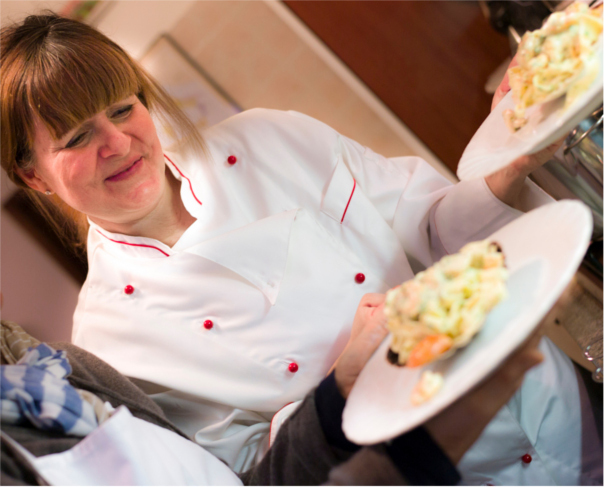 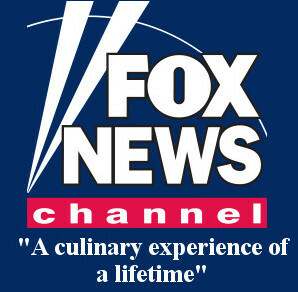 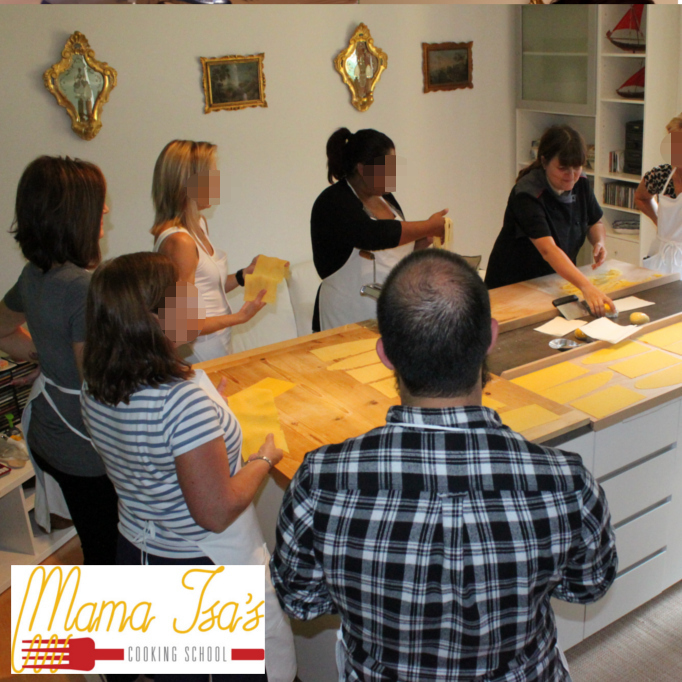 By the end of the course you will have a good repertoire of recipes and the confidence to create some stunning dishes. 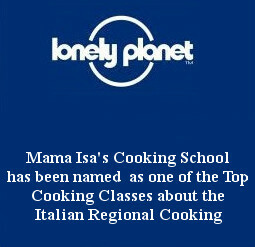 Please Note: Lunch is provided each day. 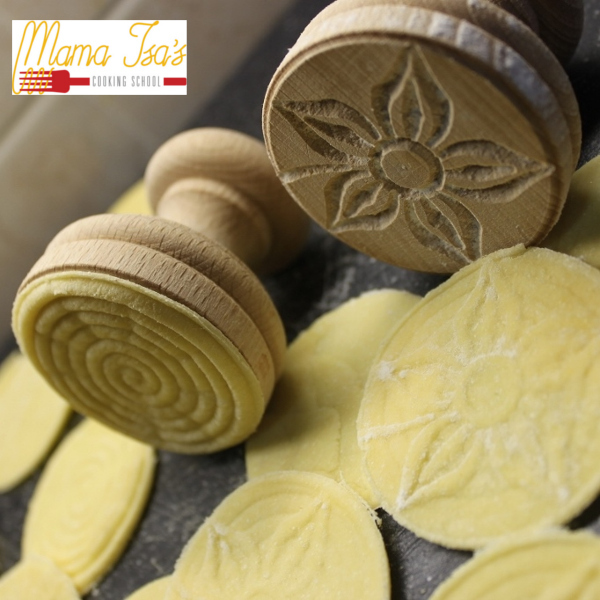 Mama Isa is a sfoglina (pasta maker): she uses to make fresh pasta with eggs every day for her family and for her guests! 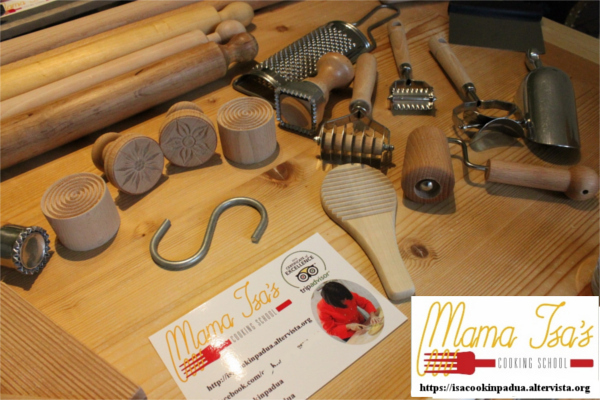 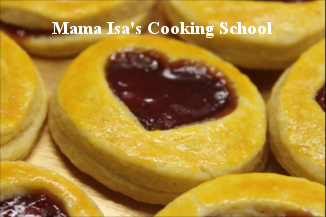 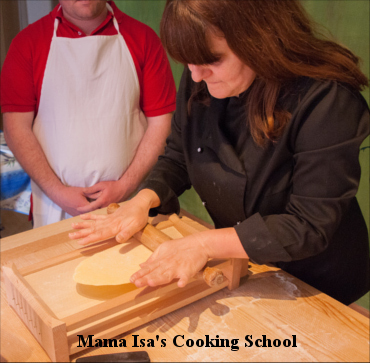 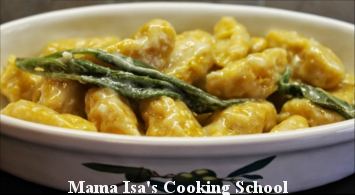 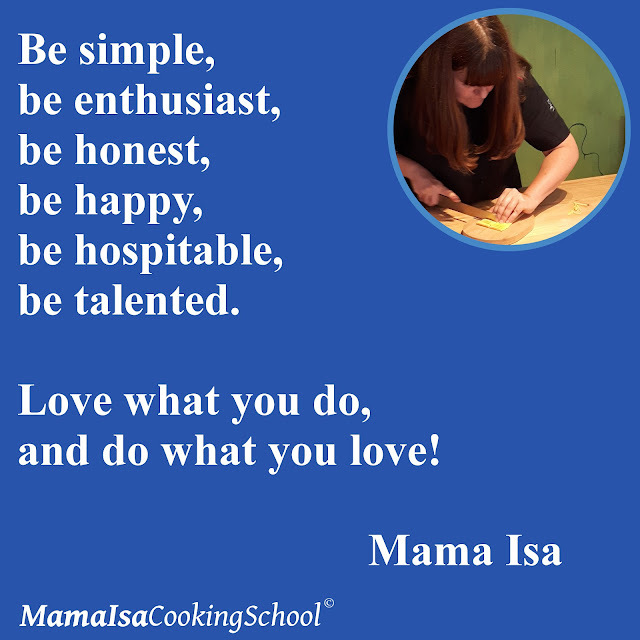 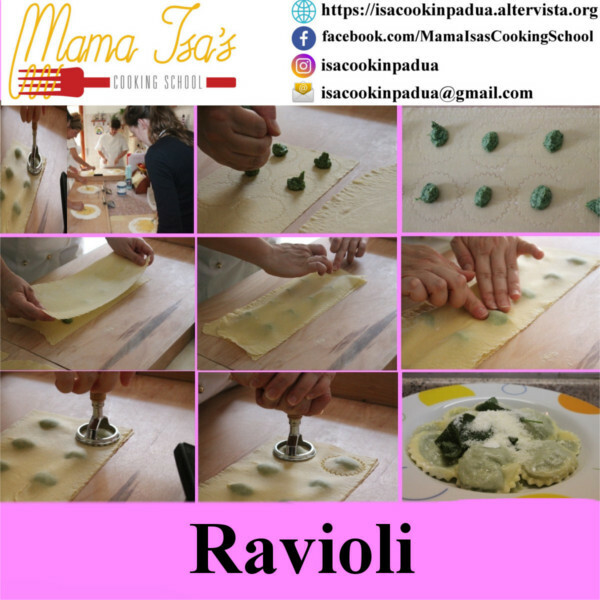 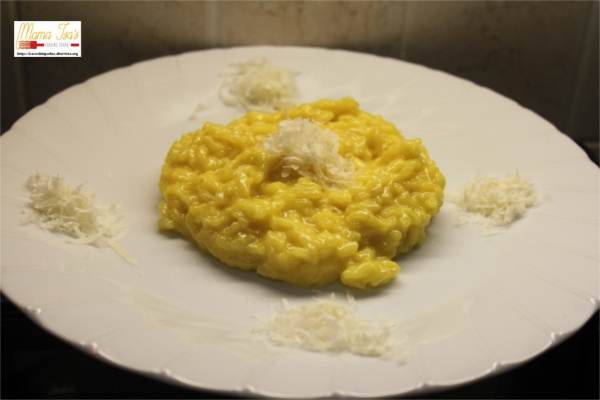 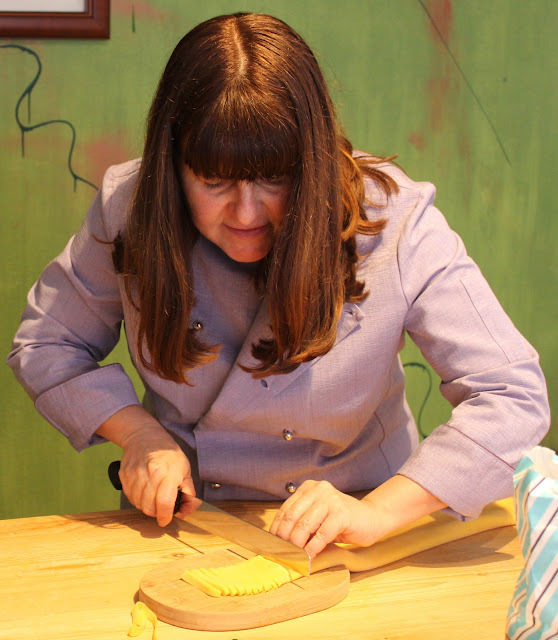 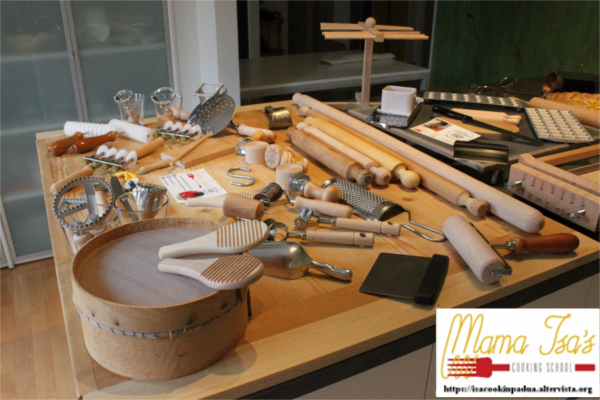 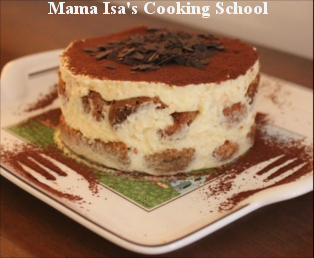 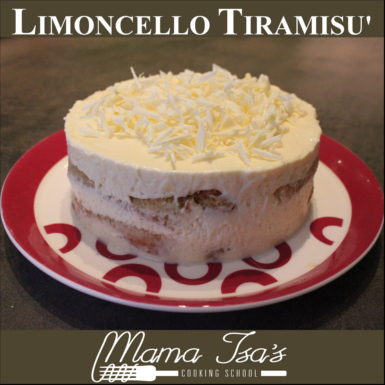 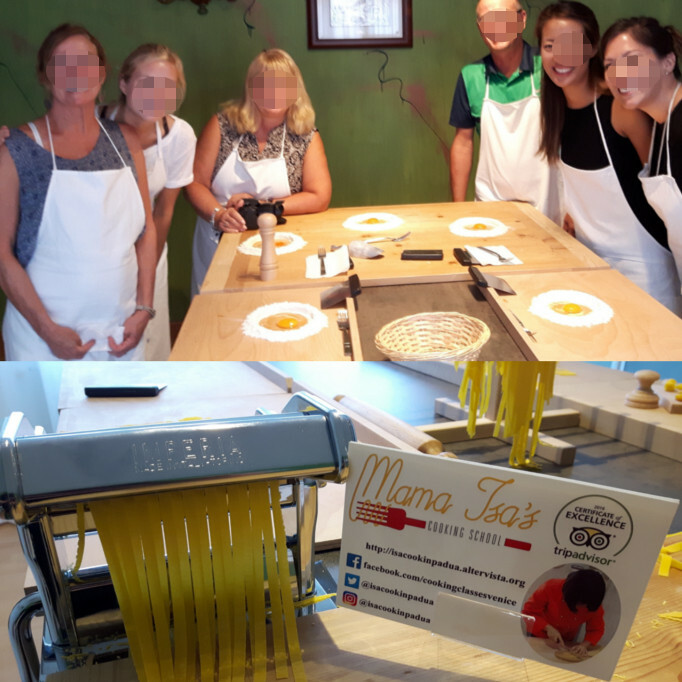 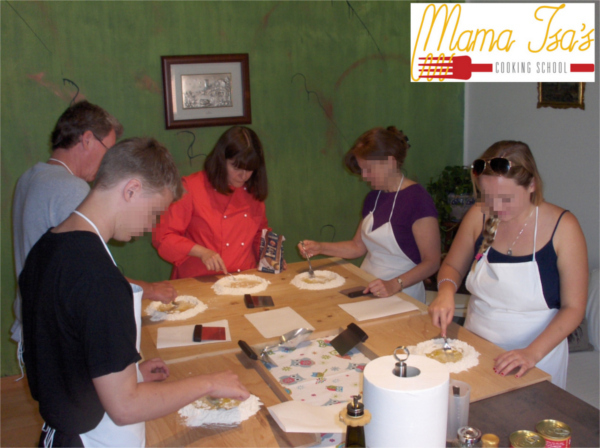 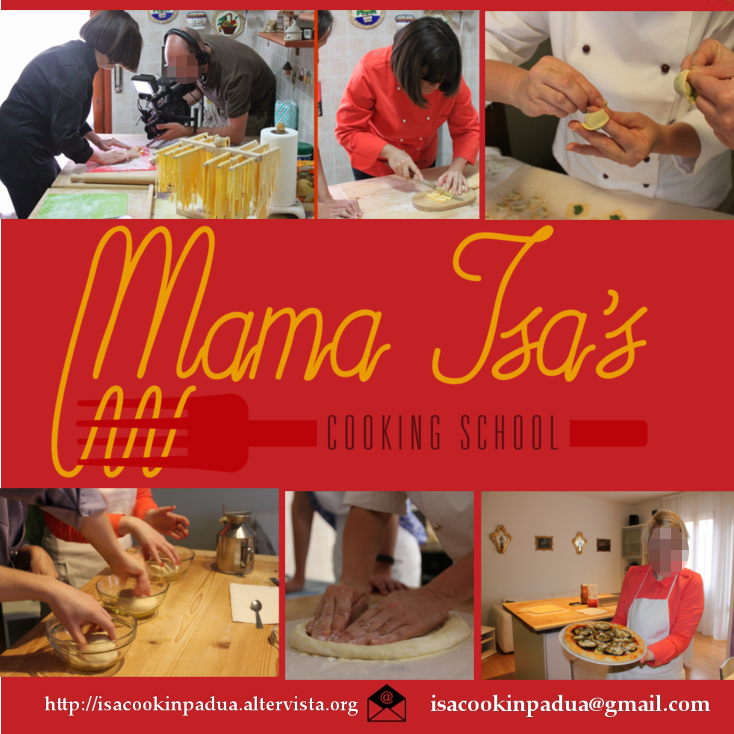 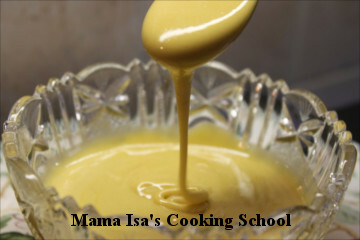 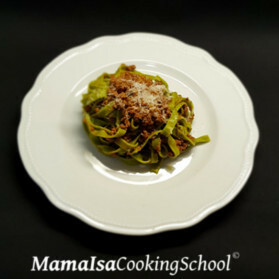 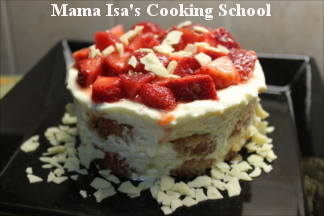 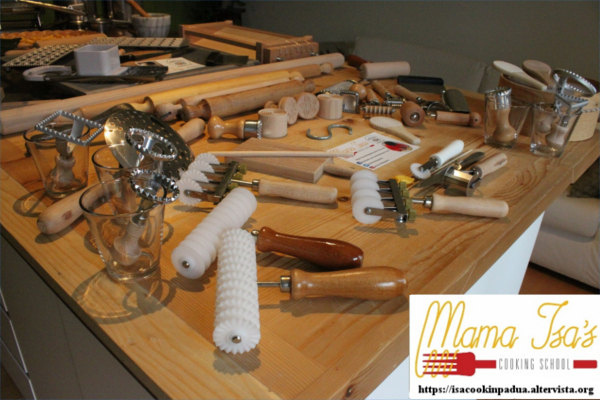 Mama Isa's Pasta Class: the place to find authentic and richly flavored fresh pasta handmade. 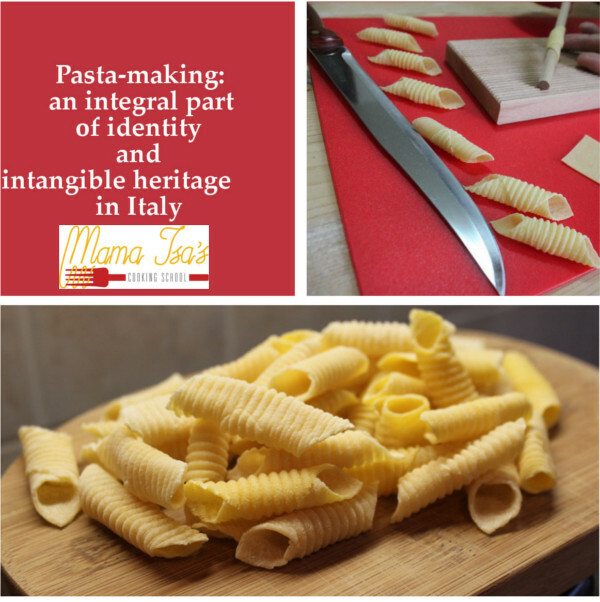 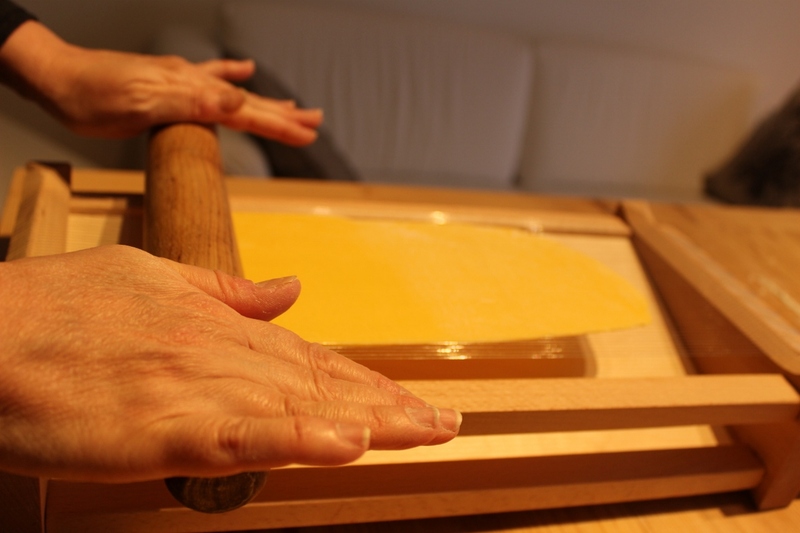 Pasta Making is an integral part of identity and intangible heritage in Italy! 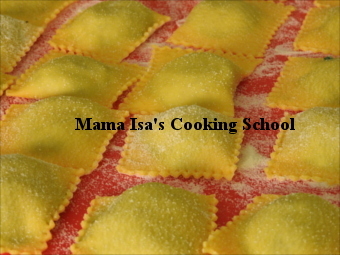 or agnolotti (see Mama Isa's pictures on Pinterest about "The Art of Pasta Making in Italy"). 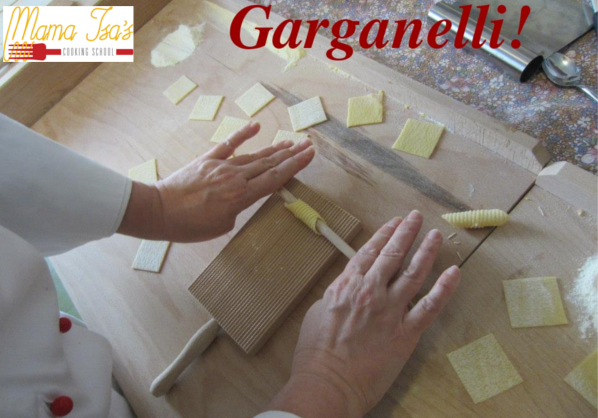 She uses fresh pasta to make "lasagna" or "cannelloni". 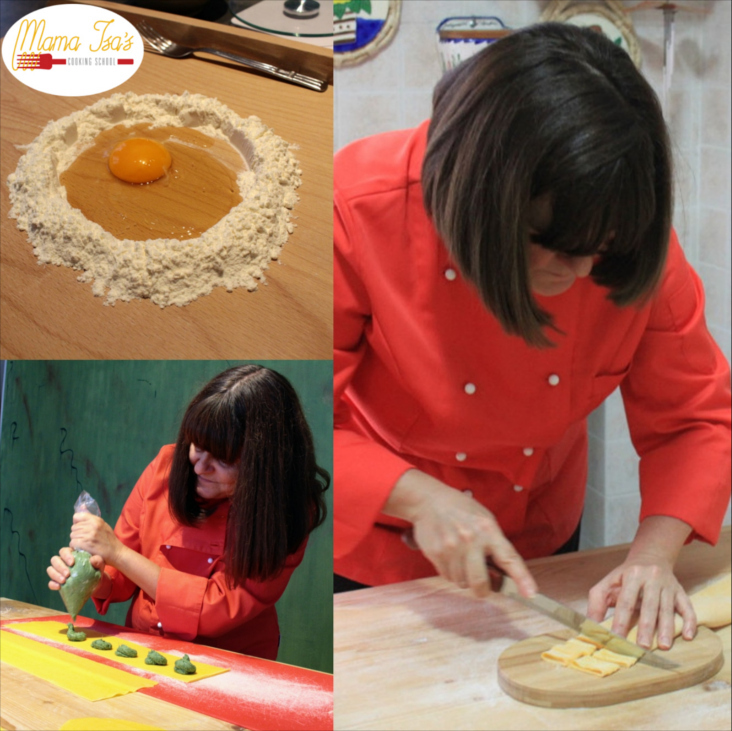 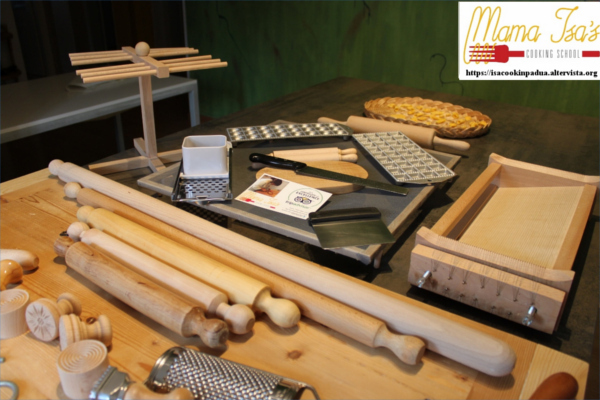 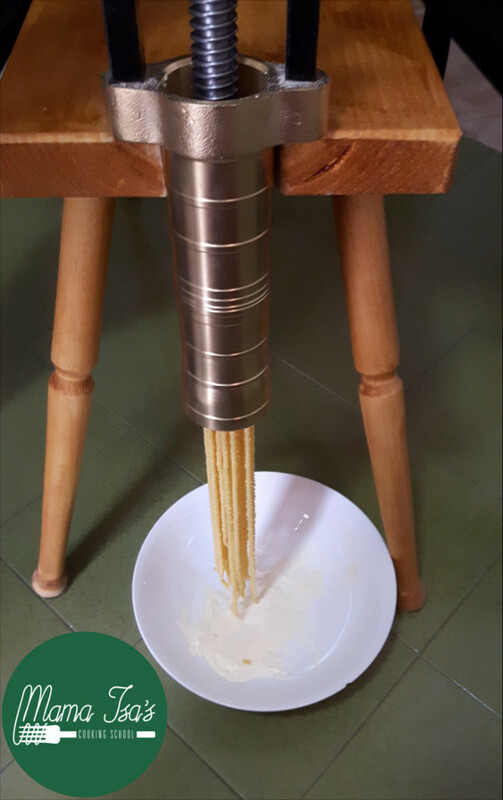 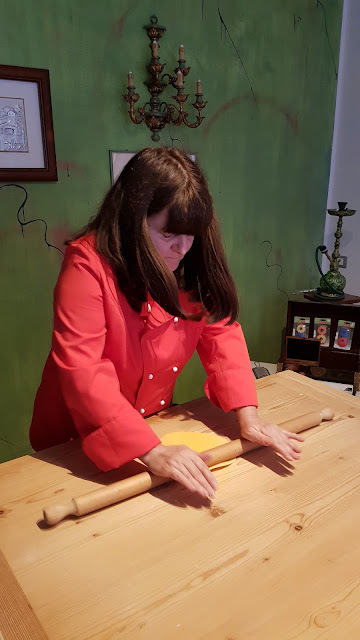 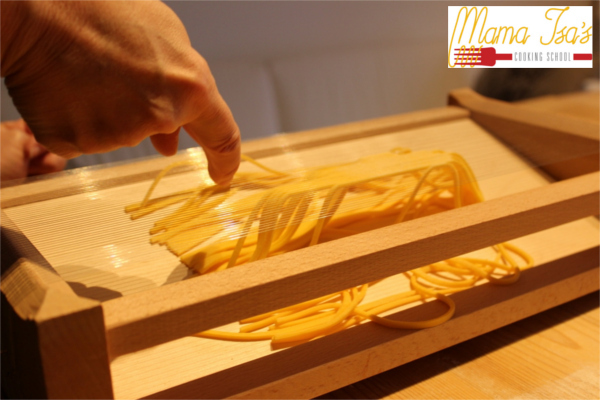 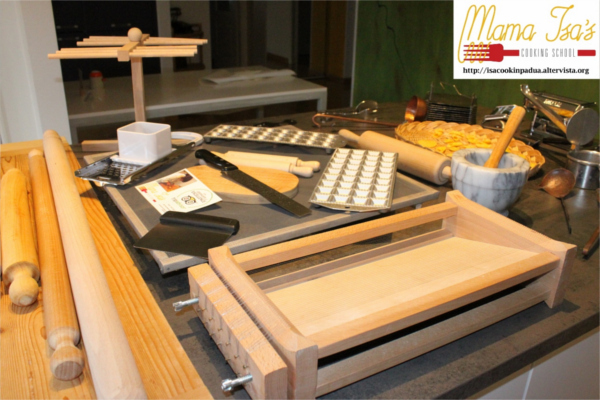 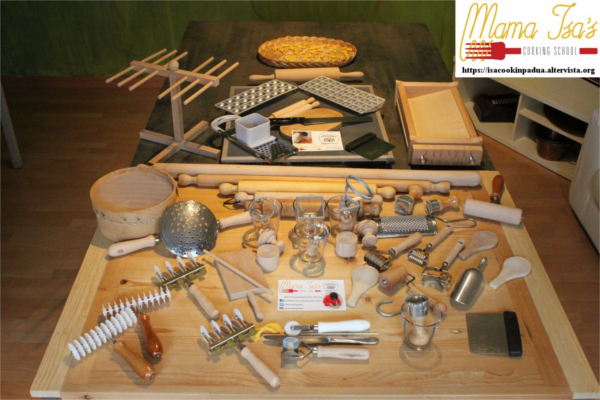 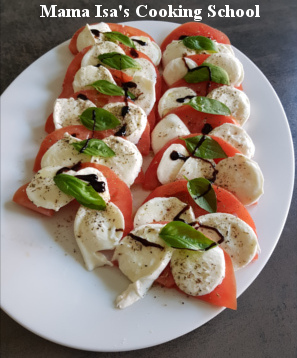 She love to share with you her secrets about pasta making without pasta machine, only with a rolling pin, a wood board and a rectangular knife called "sfoglino". 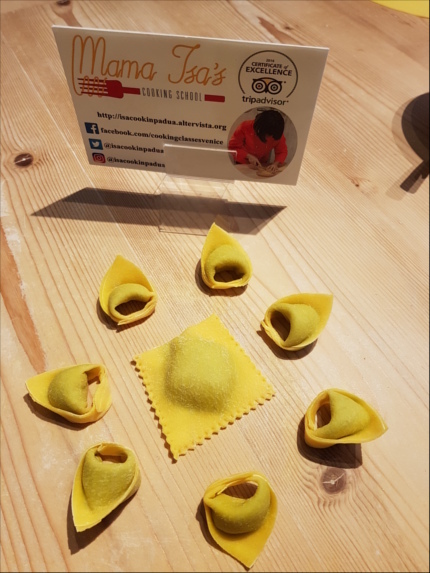 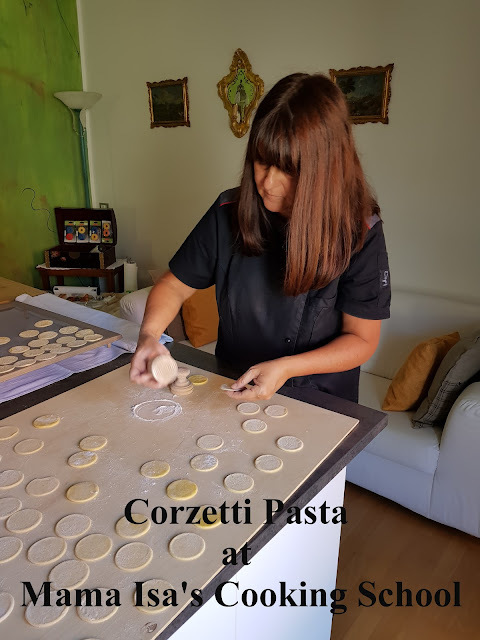 You'll learn how to make many shapes of fresh pasta: tagliatelle, pappardelle, fettuccine, bow tie farfalle, ziti, pici, bigoli, gnudi, malloreddus, corzetti or croxetti, orecchiette, maccheroni, gargati, cavatelli lunghi, fusilli, spaghetti alla chitarra, tortelli, agnolotti, egg yolk ravioli, tortellini, ravioli, potato gnocchi, ricotta gnocchi, pumpkin gnocchi, cannelloni, lasagne, ... View a recipe with Fresh Fettuccine with Clams and Mussels sauce (in "Cassopipa" style). 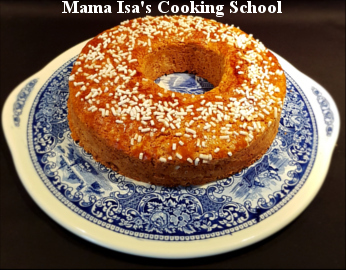 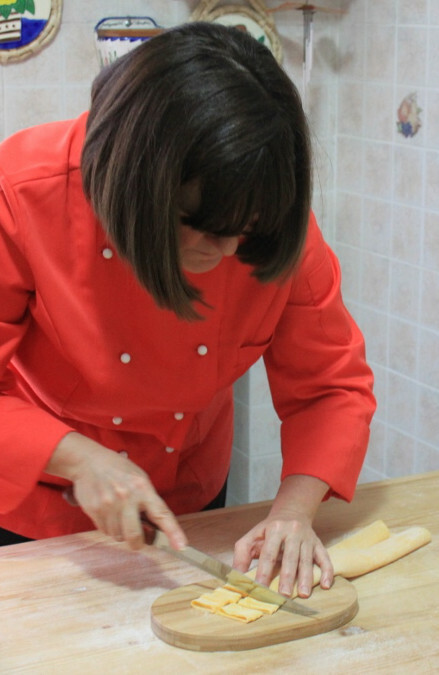 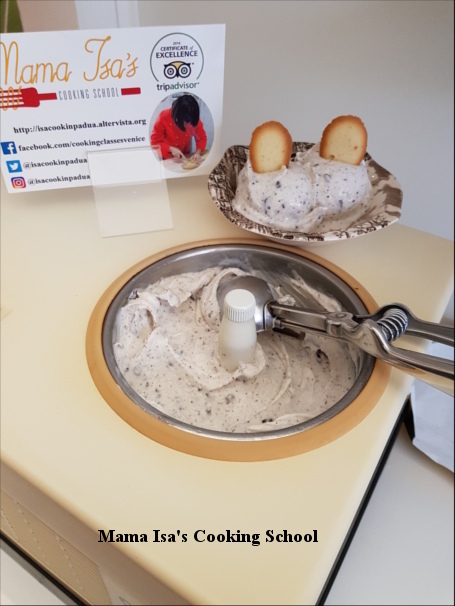 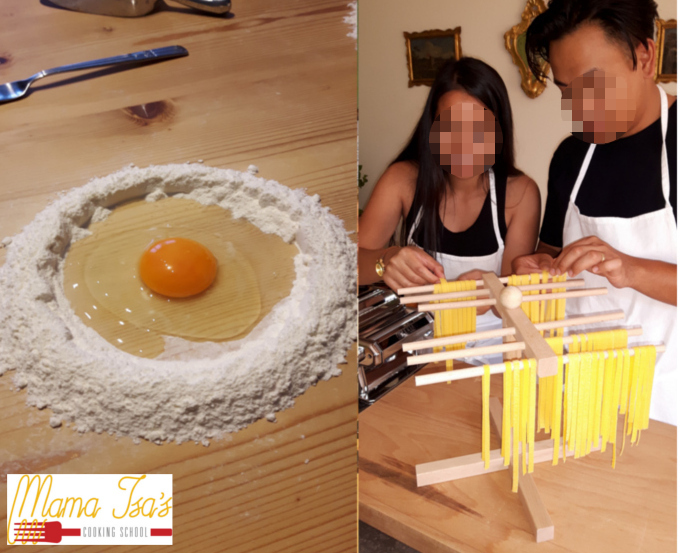 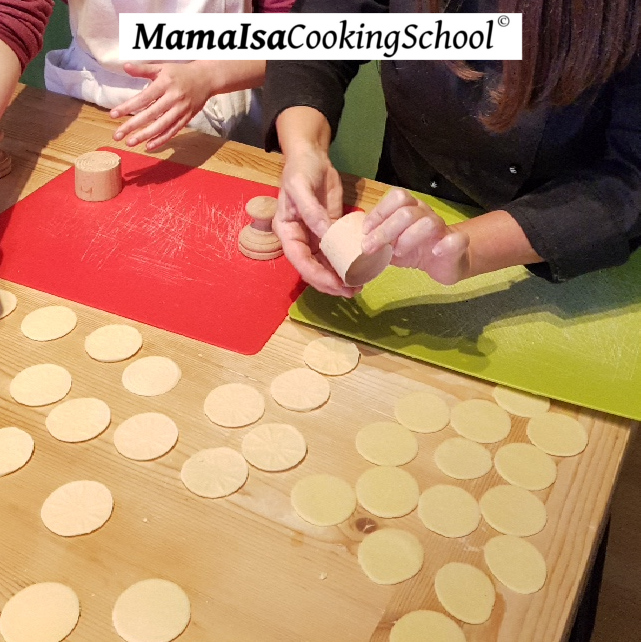 The Chef Mama Isa learned the art of fresh Pasta Making many decades ago by her grandmother Elisa and her mother Paola: she wants to share with you the importance of rolling out the Pasta dough, just like her grandma and her ma! 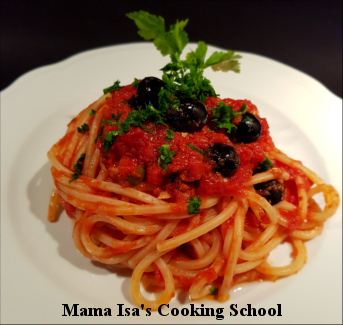 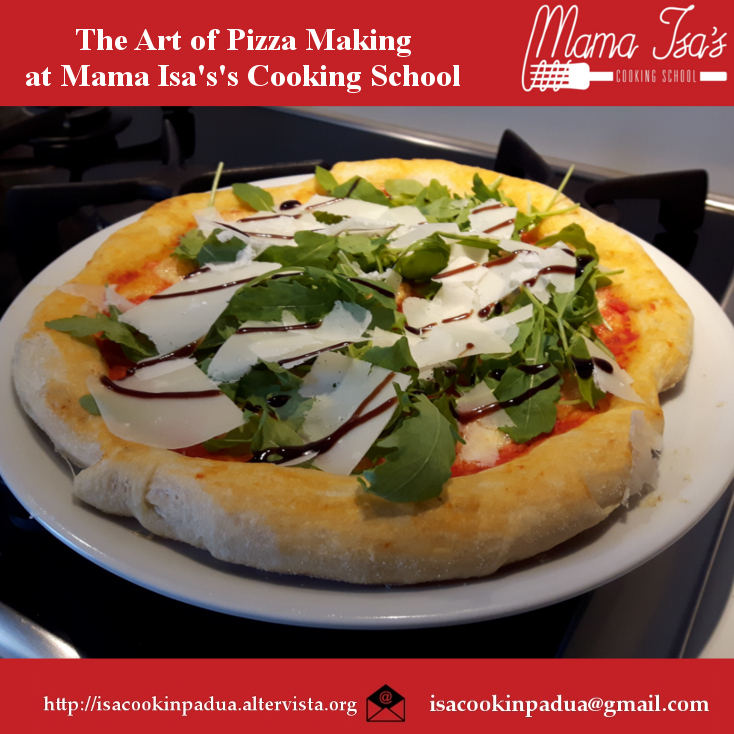 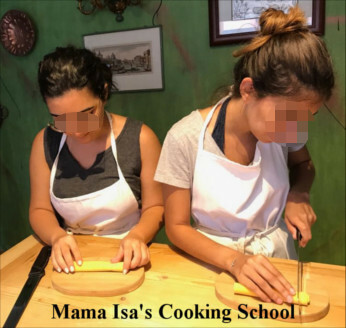 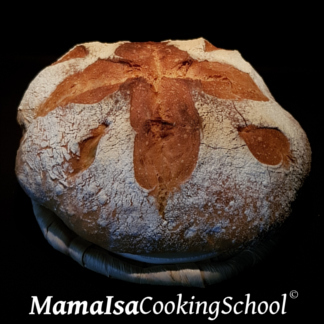 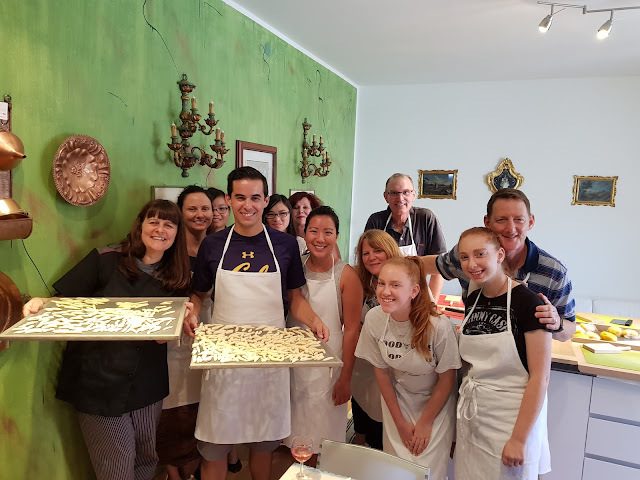 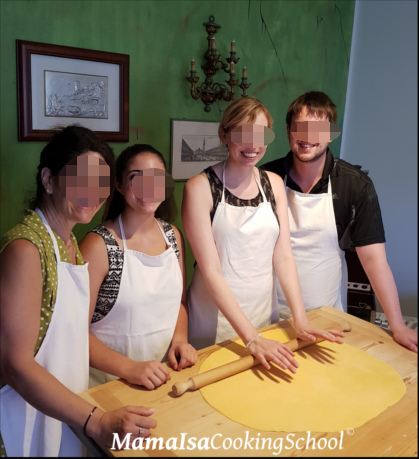 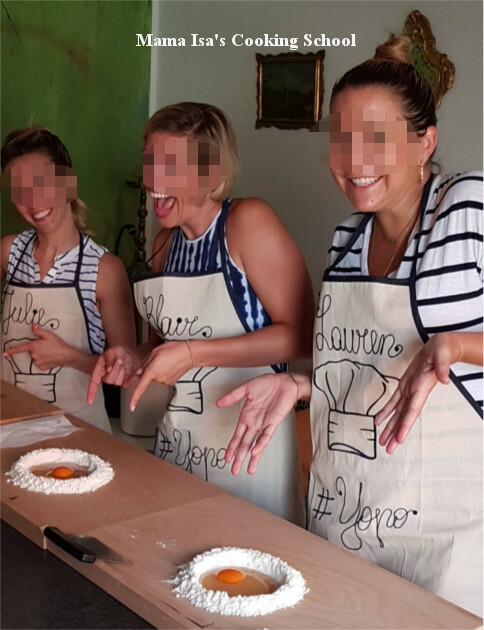 Pasta dough making requires ability and experience, but if you like satisfy your desire to learn the Art of Pasta Making and to understand the importance of Italian Cuisine and authentic Italian flavors, book a pasta class with Mama Isa. 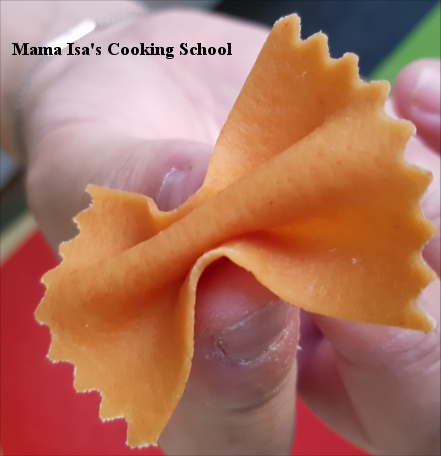 Taste the real, authentic and homemade Mama Isa's Lasagna, with fresh egg pasta, with Mama Isa's Ragù Bolognese Sauce (with pork and meat), Mama Isa's Béchamel and Parmiggiano Reggiano cheese!